The Milk Run, Browns Canyon, and the Big Bend area are all in excellent condition and fishing well. The annual late summer decrease in releases from Twin Lakes has now transpired and the river is moving slower, allowing fish to again make full use of the available habitat and permitting wade anglers to get off the shoreline and out into the main body of the channel. The decrease in flows has corresponded nicely with a decrease in air temperature. Red quills, blue winged olives, midges, caddis, and some late golden stoneflies make up the majority of the hatch activity, but hoppers, beetles and ants continue to proliferate along the shoreline. With recreational boating traffic now negligible in the Browns Canyon/Big Bend area, we enter a period of late summer fishing when solitude returns to the river. This is a great time of year to get on the water! The water levels at Blue Lake are dropping. Anglers have reported catching a few saugeye and channel catfish recently. The high water boat ramp is usable. Trout fishing at Clear Creek Reservoir has been extremely poor for boat anglers and fair from the shoreline. The best shore fishing for trout has been during the morning. Successful shore anglers caught a few trout on yellow PowerBait and worms off the bottom. A few shore anglers even caught 18 to 22 inch rainbow trout at the boat ramp parking lot area. 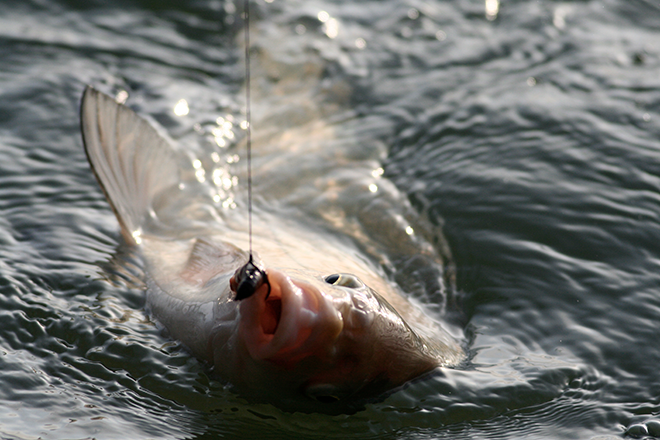 Most boat anglers reported not landing a single fish. Only one angler was able to land trout from a boat on Sunday. The boat angler that caught a few trout on Sunday used yellow spoons near the inlet of the reservoir. Boat anglers targeting trout experienced some success on Tasmanian Devil lures too. The kokanee salmon fishing remains very slow. Kokanee salmon usually go for squid tipped with corn near the dam of the reservoir. The reservoir is closed to trailer motorized watercrafts on Tuesdays and Wednesdays. The current boating hours are from 6 a.m. to 8 p.m. and beginning September 8, boating hours will be from 7 a.m. to 5 p.m. Fishing has been rated as poor to fair. Anglers have reported catching a few smaller wiper in the 12 to 14 inch range. Fishing for all other species is slow. Fishing remains slow for most species. Anglers are catching small bluegill and catfish throughout the lake.